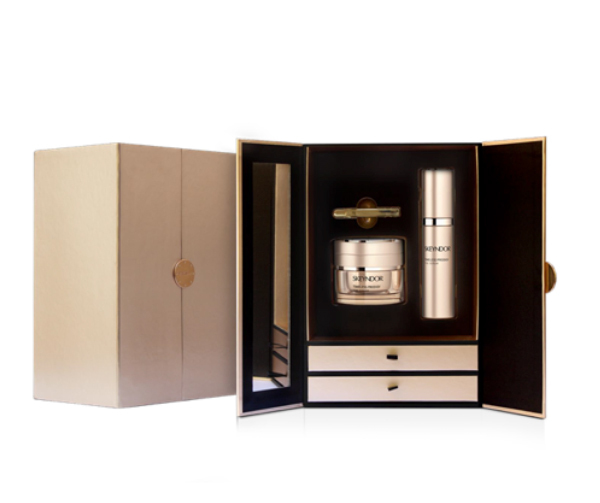 Ever since this top Spanish skincare brand invented itself 50 years ago, they have continuously got it right. A family born brand that originally kicked off in Barcelona, has really spread its wings, making its way across 52 continents. Their stellar ingredients very cleverly, combine nature, science and technology, a real hit if you’re after anti-aging results and boy do they deliver! 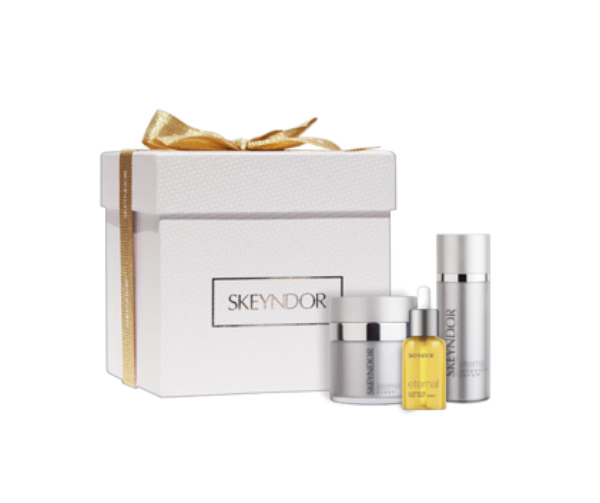 It’s all in the name – “Skeyndor” adore your skin – and I promise you will. So, what’s new? 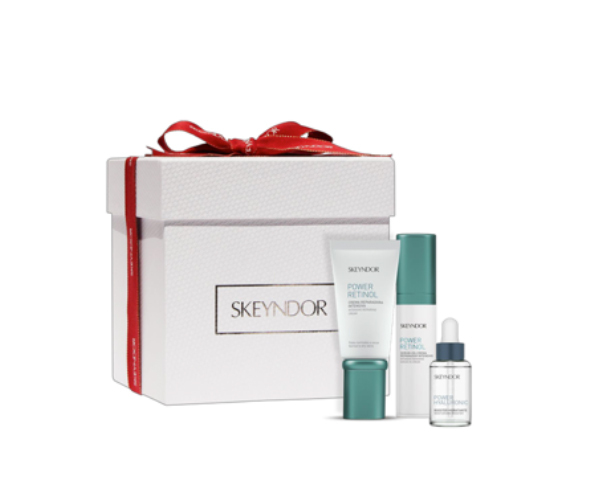 They have just launched their new skincare Christmas kits, that not only deliver all your skin’s needs in one place, but guarantee a price saving that you can put towards to your Christmas soiree! Here I have selected their top Christmas kits, to add to your Christmas shopping list now. Want all your friends wondering what treatments you’ve been having done to your skin? Then this is the ultimate skincare for you! Timeless Prodigy is the newest ultra-anti-ageing product on the market! With its liquid crystal texture, The Cream will melt into your skin whilst working its magic to repair and rebuild the facial tissues. 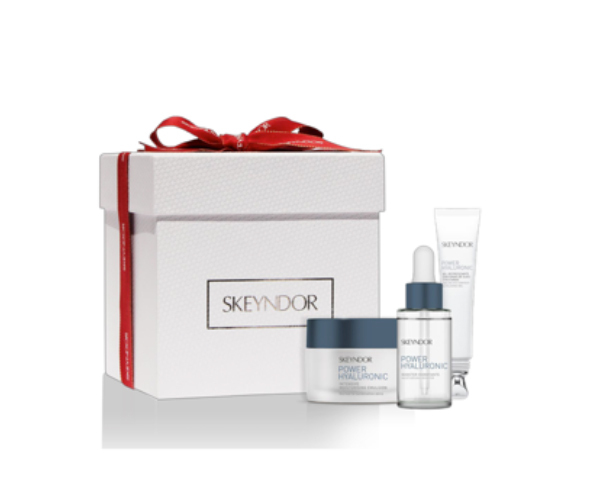 The Serum is light and velvety on the skin whilst bringing luminosity and evening out your complexion. Both using Growth Factors, 50 Million Damask Rose Stem Cells and White Truffle to give you the most amazing skin and the one to make all your friends jealous! The name says it all – lifts, firm and tightens. A range of delicious smelling face creams and their elixir serum you can wear underneath to really deliver that lifting punch! And you will be eternally grateful – Packed full of meristematic stem cells and hyaluronic acid – regenerates, hydrates and fills in minutes. We love the sleeping oil; this sumptuous night oil delivers a light and silky texture that is bursting with essential oils! – transforming the skin and boosting a peaceful slumber! Fancy the effects of a line filling without the needle!? – introducing hexapeptides and pentapeptides to reduce the muscle contractions in the skin, neuro inhibitors to relax, whilst cross linked hyaluronic fills – step into the new generation of wrinkle filling! This really pulls the punch! Powerful antioxidant that repairs and delivers that healthy glow – the vitamin c ampoules are the hero of this range full of 7.5 % pure ascorbic acid – the Rolls Royce of vitamin c! This is thirst quenching stuff! – Give your skin its daily dose of hydration by slathering on this ultra-hydrating face cream, de puff your eyes with their multi-functional eye and lash cream and for me the winner is the hyaluronic booster, apply under the face cream to really give that Va va voom to thirsty skin! – a must. Power Retinol will give your skin the boost its been waiting for! 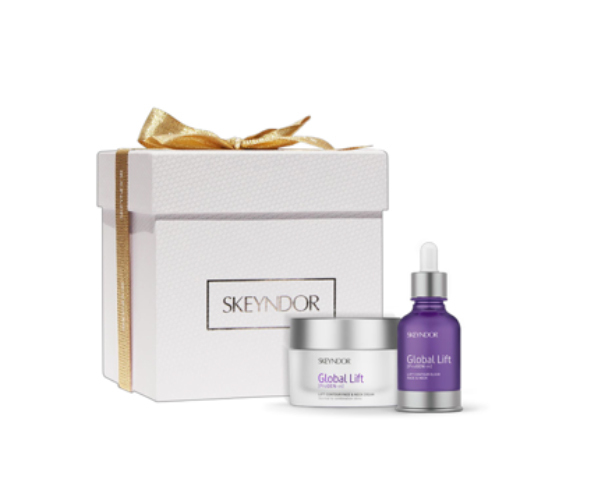 With its powerful formula for skin rejuvenation thanks to a unique 3-in-1 combination and anti-aging ingredients, including pure Retinol, Bakuchiol and Soy extract. With such original the formula, Power Retinol presents a novelty in the domestic market and ensures the renewal of the skin and the maximum rejuvenation it needs.